A big concern among Naples-area homeowners when considering a significant remodeling project is that costs will get out of control. Chances are, you’ve heard stores about homeowners who had projects that escalated in price to ridiculous levels. How can you protect yourself from a situation in which the budget blows up before your eyes? First of all, most budgets don’t really “blow up.” It’s much more likely that they creep up in small increments until they are out of control. We’ll take a look at some of the most common causes of out-of-control budgets to help you avoid the same. This may be one of the worst culprits when it comes to blowing a budget (and a lot of money). Scope creep is when a homeowner starts out with a specific project in mind and then keeps adding to it. For instance, you could decide that you want to refinish your kitchen cabinets. Then you decide that the countertops look a little dated with the new cabinet finish, so you want to change them out as well. But then the floor looks dark and worn, so that must also be replaced. You get the picture: one thing leads to another. They may all be legitimate improvements, but you weren’t planning (and you didn’t budget) for all of them at once. It’s really not all that unusual to have some changes to your original plan. That’s not always a bad thing. But the timing and scope of those changes can really wreak havoc on your budget. If you make significant changes after construction has started, you could really rack up costs quickly—particularly if your remodeler has to undo something that’s already been built. One of the primary reasons it’s good to sit down with a professional designer before you get started is that you have a better chance of getting what you’re really after in the first place. 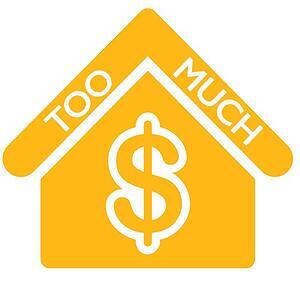 Indiscriminate upgrading of materials and fixtures has landed many a homeowner in financialstraits. This is a tricky situation, because (at least to some degree) you get what you pay for. Trying to go cheap on materials almost never works. You’ll end up paying more because you’ll have to replace inferior products and materials sooner (and you won’t be happy with the performance in the meantime). But it’s also possible to overspend on materials and fixtures. That’s when it’s helpful to be able to see materials such as flooring, tile, fixtures, countertops, sinks, backsplash materials and more in a location such as our showroom.Check out your options before you choose so you have a better idea of what you’re actually getting. These are all prime examples of the advantage of dealing with a design-build remodeler. You enjoy the benefits of both a designer’s perspective and a builder’s hands-on knowledge when making decisions about your remodeling project. Getting the right information and advice up front can keep you from overspending where you really don’t need to.